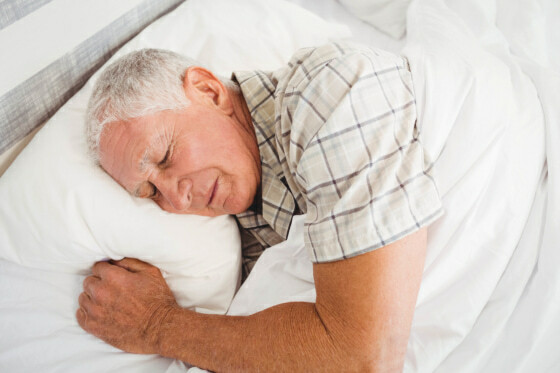 Getting an adequate amount of sleep is one of the key needs of our senior loved ones. When they’re aging at home, providers of Home Care Services in Roseville, Minnesota can assist in making their living conditions more conducive to better sleep. Aside from that, there are also sets of food that are particularly helpful in aiding their better sleep. Without eating too much protein, taking just enough amount of lean protein can help improve a senior person’s serotonin levels. Consequently, they can acquire good sleep. Lean protein can be found in most poultry and fishes. The rich content of potassium and magnesium found in bananas greatly promote muscle relaxation and the calming sense of the nervous system. This way, the person can sleep better. Aside from banana, these nutrients are also found in cherries, apples, and peaches, among others. Drinking warm beverages help provide a soothing sensation, which can lead to better sleep. Some seniors may prefer herbal teas that can provide an equivalent soothing effect. However, be mindful to drink these away from sleep time to minimize sleep disruption due to urination. Because of its rich supply in complex carbohydrates, sweet potato helps increase the tryptophan level of a senior person. However, sweet potato is not the only option for complex carbohydrates. The other options include oatmeal, whole grain bread, and high-fiber popcorn. The likes of avocado and other types of nuts provide a person healthy with fats, which are good for the heart. These unsaturated fats help work out your loved one’s serotonin levels, thus facilitating better sleep. Let our Elderly Care in Minnesota be a helpful experience in your loved one’s end. These are just some of the foods that can be recommended for seniors who are having troubles sleeping well. Our Personal Care Assistant can aid your loved one in preparing these foods so that their overall wellbeing is cared for. To inquire further about our care services, ask us at Home Healthcare Agency. This entry was posted in Senior Lifestyle and tagged Daily Activities, Healthy Living, Proper Sleep. Bookmark the permalink.